Oh hi there! 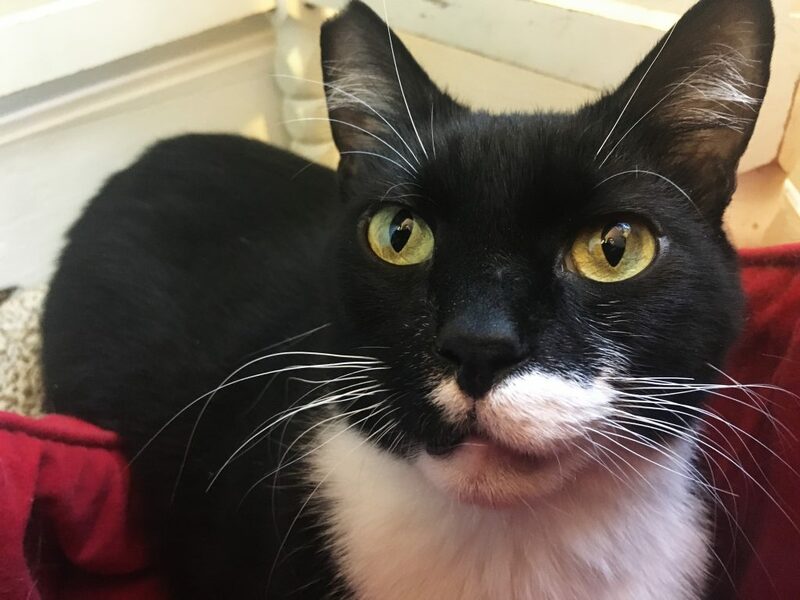 My name is Big Boi, and I’m a very affectionate and cuddly 8-year-old kitty looking for a quiet home to settle into. I currently live in a foster home and spend as much time as possible in my foster mom’s lap or right by her side. I will follow her around and gently mew for attention, especially when she first gets home — I just adore affection, after all! I’m an excellent bed warmer and friend to tell your secrets to. I will miss you when you’re gone, but am perfectly fine being left alone at home while you’re at work all day. Though I do like to spend time watching squirrels and birds outside the window, I’m used to living totally indoors and do very well in an apartment or smaller space. Before I came to Pixie, I went through a tough transition when my former owner passed away and I was forced to live outside for a short time. I’m over the outside life and it has taken a little time for me to readjust and trust new people, however, once I know you, I’m a total cuddlebug. I lived with a few other cats in my former home and would probably do well with another gentle kitty like me. I definitely need an overall quieter household with a person or two for me to bond with — and play with! When I’m feeling really comfortable, I’m still very playful for my age and will zoom around the room tossing toys around and chasing them, even if there’s no one to play with me. 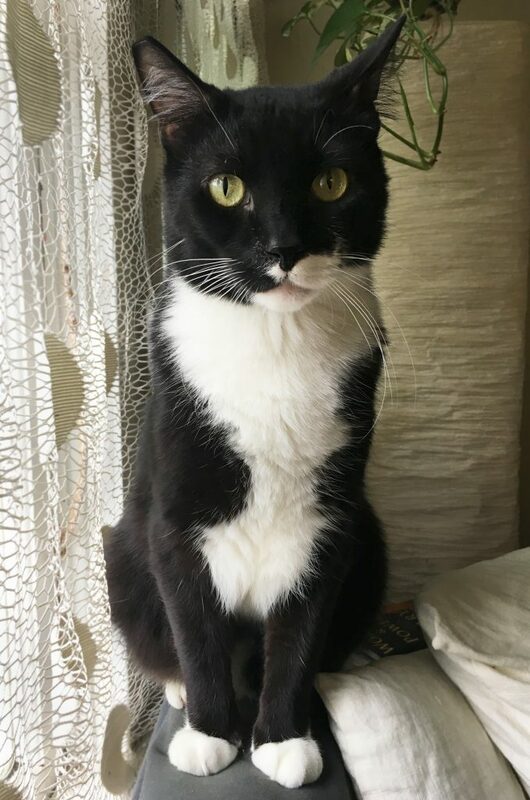 Even though I can get a little rambunctious with my play, I don’t have a destructive side at all, and totally ignore my foster mom’s plants and don’t tend to climb all over shelves or knock things over. I’m really a very low-maintenance guy as long as I get lots of love, snuggles, and patience as I get used to my surroundings. 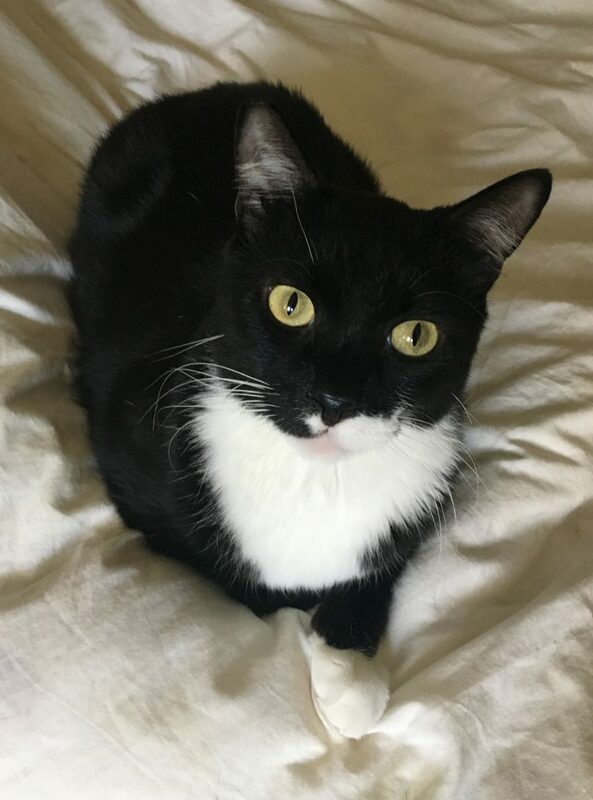 I’m such a sweet and special kitty, and I know I’ll make someone an amazing best friend! Won’t you come get to know me and give me a shot at a starring role in your life? I’d love to meet you! I’m currently in a foster home, so please fill out an application to meet me today! I come to you fixed, vaccinated, and micro-chipped for an adoption fee of $100.